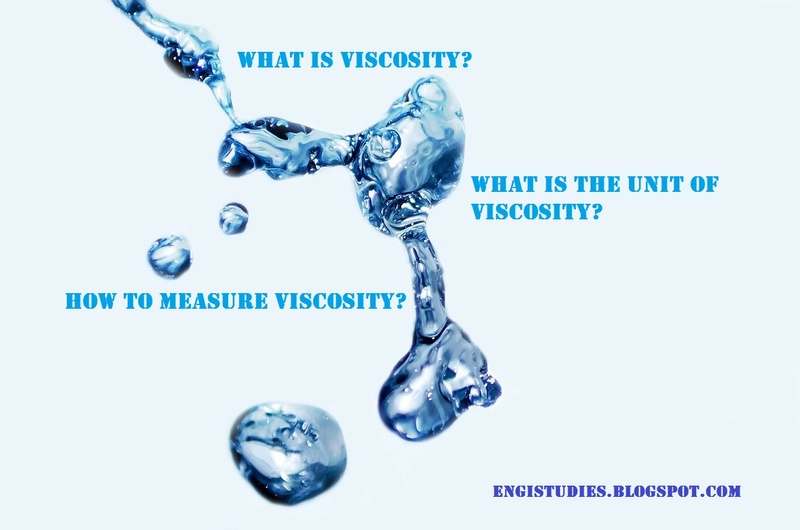 Home viscosity What Is Viscosity? Viscosity is defined as the resistance to flow. This definition will lead to confusion if we take fluids with different densities. The size and shape of molecules define how viscous the fluid would be. If we divide the fluid into a number of layers, then the viscosity is the measure of friction between them. For example, Honey is more viscous than Water. We can measure the value practically by using Viscometers. The experiment is carried out to count the time in seconds taken by a certain amount of fluid to drain from an orifice hole. The formula to calculate the value is very simple. It is expressed in cP (centipoise) units. Starting from water, with viscosity 1cP, most of the other fluids will have positive viscosity value. At lower temperatures, some fluids will measure zero viscosity and therefore called as 'Mobile Fluids'. A fluid that has no resistance to shear stress is known as an ideal fluid or inviscid fluid. Watch the video.